A magical story that weaves together fifty world tales, by a renowned poet, and illustrated by 2002 Greenaway Medal winner Chris Riddell. 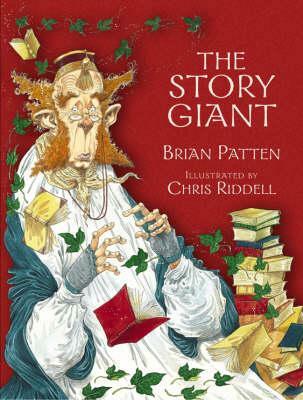 The Story Giant is a master illusionist and the ur-storyteller. In his memory exists every tale ever told in the world - except for one, which has eluded him for millennia. In a last desperate attempt to track down this lost tale, he draws four children from the different corners of the globe into his castle while they sleep, there to exchange the tales they know from their own cultures, to see if between them they can piece together the elusive missing story. For if he cannot track it down and install it in his memory, the whole facade of the castle will crumble and fall, and the Story Giant himself will die. And if he does, so will all the stories, and the world will be a poorer, duller, grimmer place. * Every child in the land should be given this book, a true gift book if ever there was one! * Patten's poetic multi-layered narrative offers a thoughtful child an exploration of the meaning of fiction, along with some outlook-changing stories. Brian Patten was born in Liverpool in 1946. His poetry for adults has been published in many languages and his collections include Love Poems, Storm Damage, and Grinning Jack. His work for children includes the poetry collections Gargling with Jelly and Thawing Frozen Frogs as well as plays and the award-winning novel Mr Moon's Last Case.